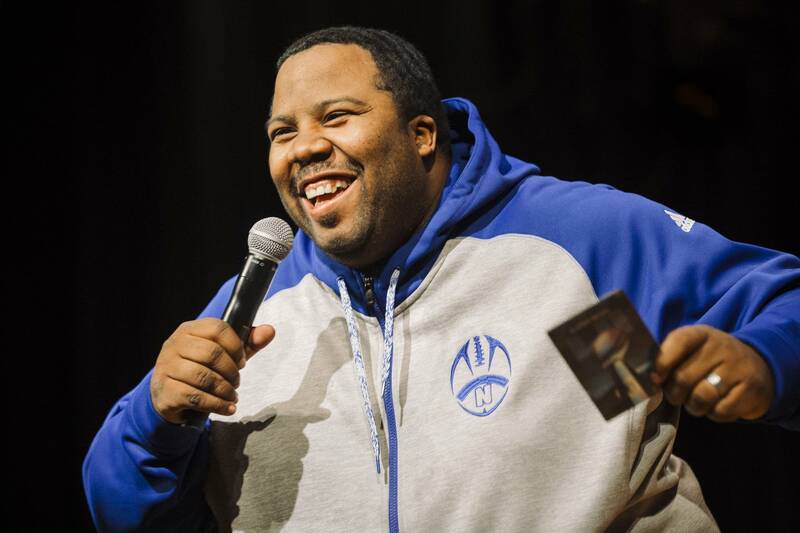 The Minneapolis North High School Polars football team is going to the Super Bowl — sort of. 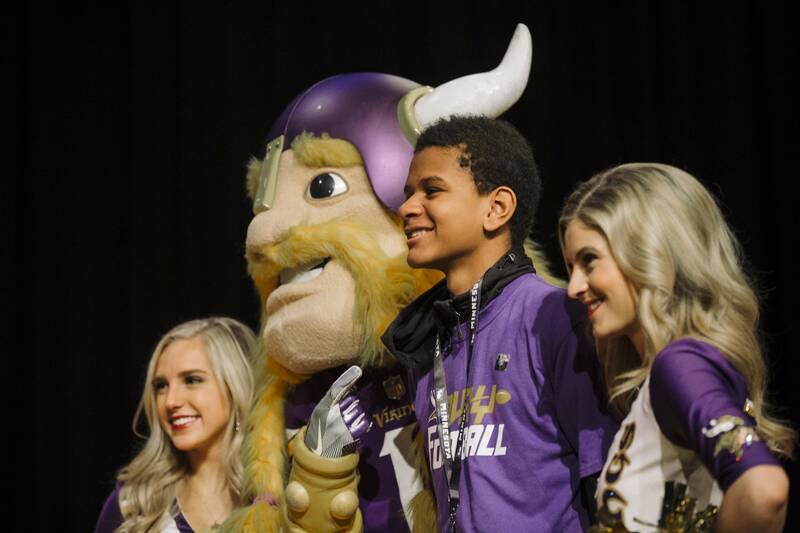 The Minnesota Super Bowl host committee on Wednesday gave players free tickets to the Super Bowl Experience at the Convention Center. The team will also be on the field a few days before the game and get an insider's view of the big event. Head coach Charles Adams was in on part of the plan. He knew his players were getting tickets to the Super Bowl Experience and that they were going to get a special tour of U.S. Bank Stadium. But Adams did not know that the biggest surprise was meant for him. 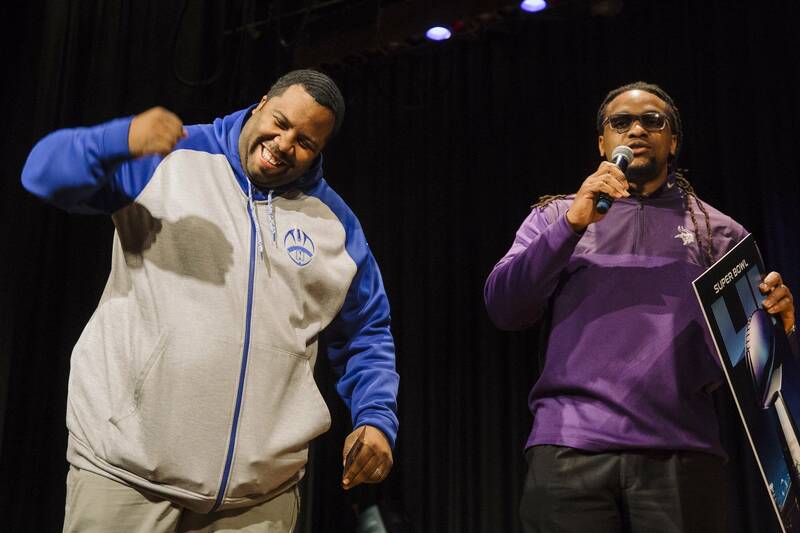 Former Viking EJ Henderson presented him with two tickets to the Super Bowl game on Feb. 4. Adams appeared stunned and excited by the gift. However, he will soon have to make a big decision — which family member will come with him to the game. "We'll have a family discussion about on how we're going to get things right," said Adams. "But my wife should be really excited." 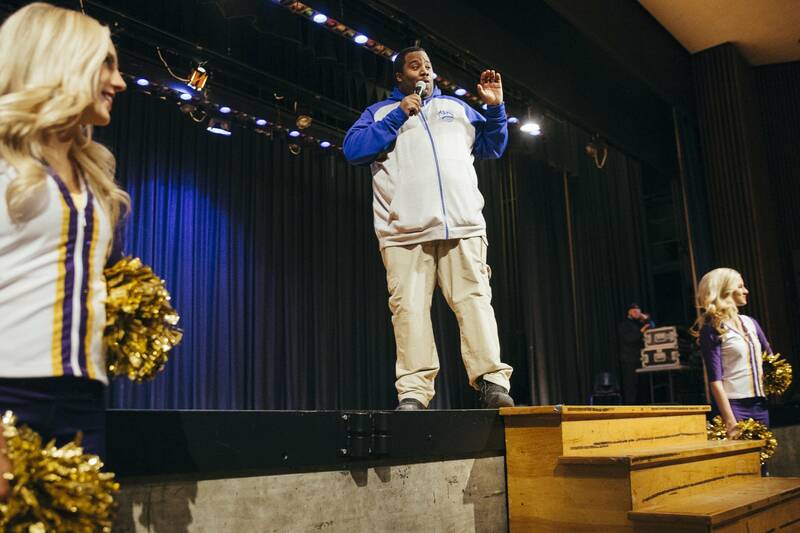 Adams, who is also a Minneapolis police resource officer at the school, said he's really glad to see his players get some recognition. "It puts everything in perspective of them working hard and doing what they're supposed to do," said Adams. "And it doesn't always have to be you being a champion. It's just being a part of something that's remarkable. And being rewarded for your special talents and your hard work and dedication. The rewards can come in so many different ways." The Polars lost in the quarter finals this season. But last year, they won the first 1-A state championship in the school's history. 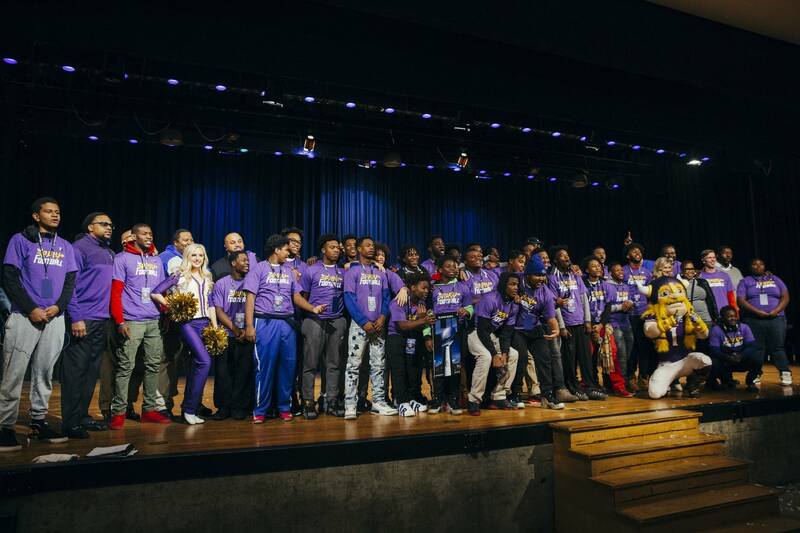 The NFL Foundation also awarded the school a $5,000 grant. 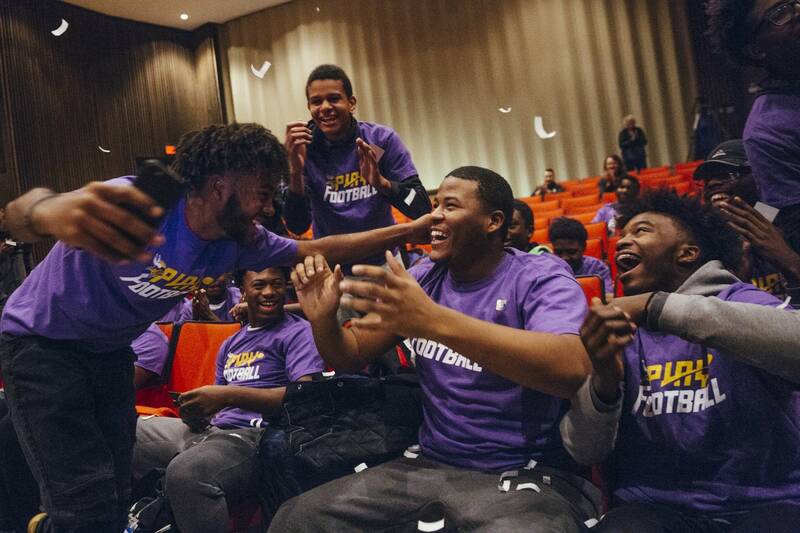 The North High players were stoked about the chance to experience some of the Super Bowl activities. "It's crazy," said junior Michael Harris. "I always dreamed of doing something like that. It's real crazy. I can't believe it still. I don't think it's real." At the Super Bowl Experience, the players will get a chance to do some of the drills that pro football players do, like the 40-yard dash. The Polars will also take the field at U.S. Bank Stadium on the Friday before the big game to scrimmage in front of television cameras. They'll also get a behind-the-scenes tour and get to meet some players. Antonio Simmons, who is also a junior, said he's looking forward to being among some of the best football players in the league. "I think it will be like, see how hard the pros work," said Simmons. "And see how hard I need to work to get to where I want to be." Simmons said his future will involve sports, but not necessarily football. He wants to major in English and become a sports broadcaster someday. Correction (Dec. 13, 2017): A previous version of this story reported an incorrect name for the Super Bowl Experience. The story has been updated.